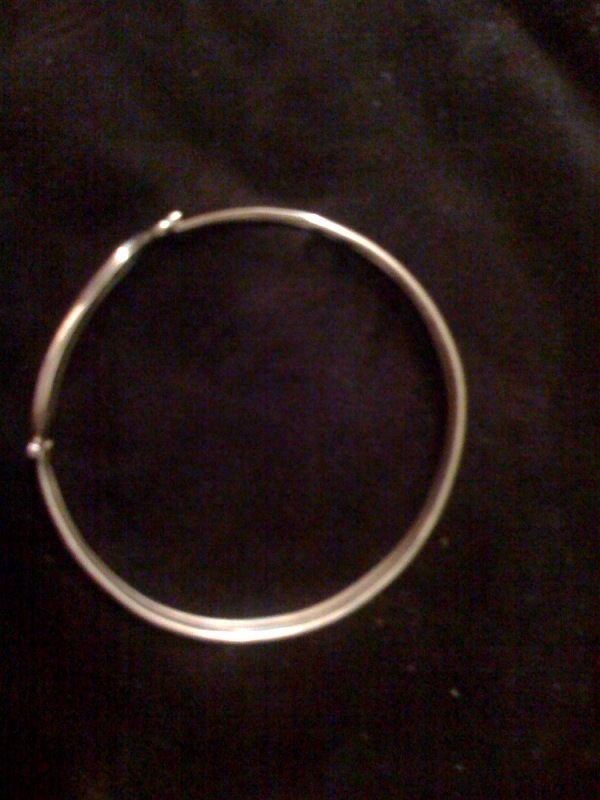 Genuine sterling silver Egyptian style bangle - AUCTION ITEM - bidding to start at $25.00 - shipping worldwide!! We hope you think this item is as special as we think it is. A genuine sterling silver bangle, purchased in Luxor, Egypt and never worn. FH bought it for herself a few years ago but then decided that bangles don't suit her - she's not wrong, he he he! But it means this beautiful piece has been sitting in a cloth bag at our home when it should be on the wrist of someone, being enjoyed by them. 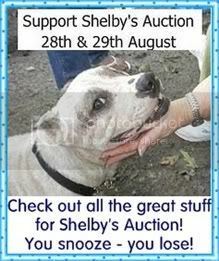 So FH decided to put this piece up for auction to help sweet Shelby. We couldn't get a very clear close-up photo we're afraid - the top photo does not do this piece justice. The main feature is a 'cut-away' cartouche design, with the head of Nefartiti and Egyptian hieroglyphs underneath it. 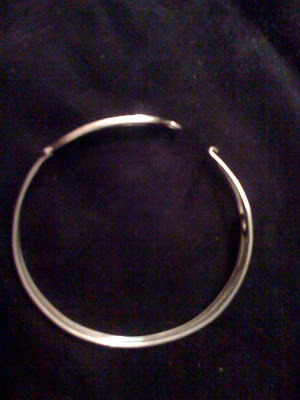 The actual bangle is three thin silver bands that run round in a circle (you can just see the three bands in the top photo, at the bottom). The bangle is secured by a discreet 'hook and eye' that is part of the design. This really is a unique piece and is Egyptian themed as well as Egyptian crafted! Go on - treat you human to really special gift! 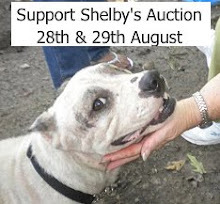 What is the bid up to now, I bid yesterday but how can I bid again if there is no update? Hi Micheline - we've sent you an e-mail! Wags - JD and Max.